“…[The ANC struggle] is a struggle of the African people, inspired by their own suffering and their own experience. It is a struggle for the right to live. Nelson Mandela died yesterday. As you can see from the chart, the angels, Jupiter and Venus, came to take him. I thought he might go this summer at his Jupiter Return, but in fact Jupiter is nearing his Sun now. When he made that famous speech, a speech which was to change the course of history, put him in jail for 27 years, and truly start to form his image in the public imagination, Chiron the wounded healer was in Pisces as it is now, quincunx Mandela’s orator’s Mercury in Leo. (Quincunx = the results of the speech were not straightforward.) In fact, when Mandela was arrested on 5 August 1962, Chiron was at 9° Pisces. Today, Chiron is at 9° Pisces. Chiron, of course, is one of the mythical characters who chose death over immortality. In doing so, he actually ensured his own immortality: the gods turned him into a constellation in the night sky as a reward for his great teaching. At the Rivonia Trial, Mandela offered to sacrifice his life for his country, but the gods had another longer story planned for him. He became a symbol for the struggle for justice, an example of bravery, stoicism, reason and intelligence in the face of bigotry and cowardice. Mandela chose the route of reconciliation and healing, and he won. This is a lesson for everyone this Christmas. RIP Nelson Mandela… My tribute to one of the great hero of the century who fight for noble peace and Apartheid. That Chiron transit is the kind of thing which raises astrology to the dimensions of mysticism, divination and just plain magic. just as Chiron is at the same degree as it was at the beginning of his 27 year incarceration, he has passed at the beginning of the 27th week since he was first hospitalized in the first week of June 2013…Blessings of Peace and mystery! In his Progressed Chart there are many aspects that speak of his death (Osiris himself conjunct the IC / Progr. Pars Fortuna conj. Progr. Mars etc. ), but the most beautiful one I found is Neptune approaching his IC and the progressed Vertex is conjunct his Neptune. He truly was a very, very special person and will be remembered as a great man. Let us never forget him and what he stood for ! Mars opposed his natal Chiron as Mercury trined it; Saturn on the threshold of his 12th. I have a strongly placed Chiron and Saturn and a strong 12th house so his chart intrigues me there. He was so consistent and reasonable about his fierce and transformative message that, disgusted with my species as I am, I sometimes wonder if he was quite human, or something a bit better. 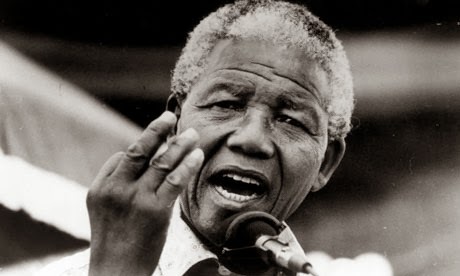 Nelson Mandela became President of South Africa on May 10, 1994 (129 years to the date when the American Civil War ended) and stayed in office 1861 days (symbolically indicating the year the American Civil War began). For more on this fascinating subject click or google http://www.apollospeaks.com.